I have an irregular Brazilian open water email correspondent who is a lake swimmer, and is too far from the sea to have ever been able to swim in the ocean. He writes about the wildlife he loves on the banks, the calm warm (high 20’s!) water and the serenity of lake swimming and can’t really get his head around the existence of jellyfish and cold water and why on earth we swim in such. We see things differently. The biggest advantages of lake swimming for me are twofold: after May lakes are warmer than the sea, and secondly they are generally calmer. So it’s almost purely utilitarian for me, using lakes to supplement training, to take a break from rough and/or cold water, and to get a long swim in on a day when the sea might not otherwise comply. 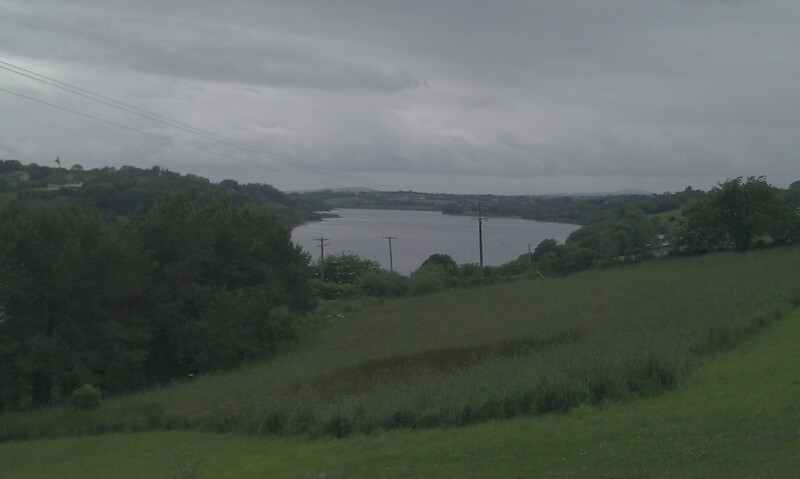 I don’t actually have any decent sized lakes near me, Ballyscanlon Lough is only about 400 metres long. So when a long lake swim is required the primary choice for the Sandycove swimmers is Inishcarra Reservoir on the Lee river. It’s a hydroelectric dam reservoir in the valley above Cork City. From the normal start it’s about 1600m to the usual turn point near the pump house, and a further 1100 metres to the dam itself if you require a longer swim, just so you can tumbleturn off the Dam. The other popular choice is an anti-clockwise loop, since the lake is only about 700 metres wide this doesn’t add a lot of time between feeds. Ciarán Byrne and I had a five-hour swim there last weekend, deciding to forego rough and cold in favour of a predictable location. We must be getting soft but frankly I’ve had enough of rough water swimming for the moment. Lake swims start out nice, warm and calm. But in comparison to my Brazilian swim correspondent’s feelings, over a long swim I find them far less interesting. Fresh water at least means no sore throat as happens in the sea. But the water is darker so there’s less or nothing to see underwater and the loops and laps tend to be more monotonous. But most of all is the lack of buoyancy. I have no small sense of admiration for people doing 12 or 18 hour swims in lakes like Michigan, Memphremagog, Lough Ness. After only four hours in a lake, my shoulders are getting heavy. 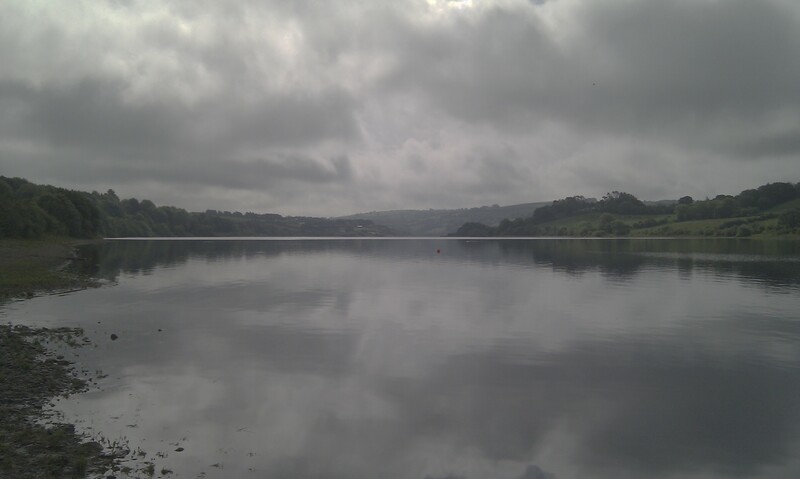 My longest lake swim is six hours and my shoulders and arms were leaden afterwards due to the lack of buoyancy. I have no plans to ever swim longer than six hours in a lake. 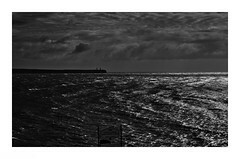 I’ll take the sea any day as well – preferably the Atlantic off the coast of Lahinch. Plus lakes kinda freak me out, being able to see (sea?) less. Cheers, Eamonn. I’d like to do a quick swim across Lahinch bay, I’ve spent enough time surfing there, but don’t have a kayaker for up there. If you ever feel like doing it and want some company, I’d be game. Hmmm, I have a feeling the Lahinch-Liscannor swim is an annual affair… Short enough swim but a nice one. I was thinking Bearrtra or Heggarty’s to Liscannor.